These diner-style, counter-top beauties are sure to be a hit. 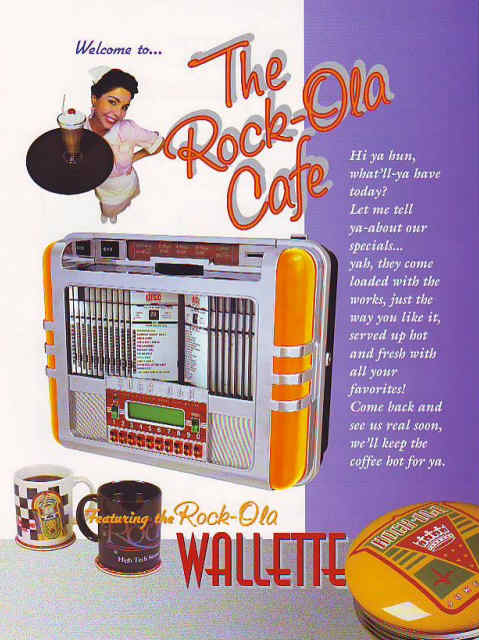 Play all your favorite tunes from anywhere there's a Rock-Ola "Wallette" selector! *Note* Wallette's are a speaker component. They need to be connected to jukebox. Does not work seperatly. Available in Red, Yellow and Harley-Davidson orange.